1In a skillet, over medium-high heat, cook and stir sausage. Cook until sausage is no longer pink and cooked through. Drain grease. Pat the sausage down with paper towels to remove excess grease. 2In a large pot, bring broth and sausage to a boil. 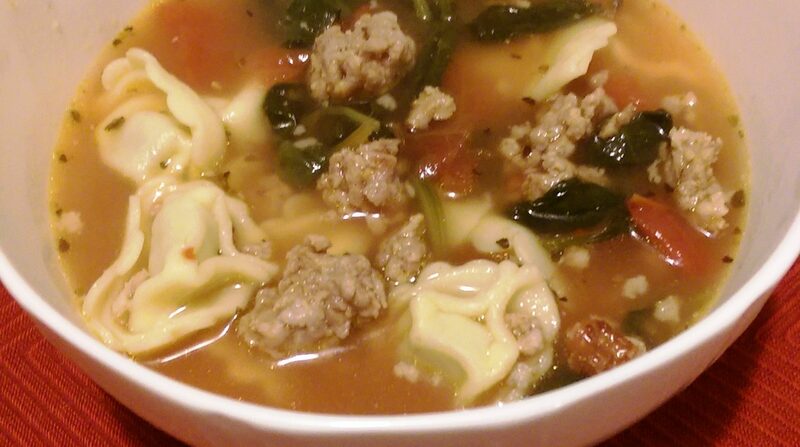 Add tortellini's, tomatoes, and Italian seasoning and return to a boil. For some variety add your favorite chopped vegetables!